This year we will be attending the most important International Tourism Fair that takes place in Spain, FITUR 2019. Our stand will be located in Hall 10 in the Fitur Know How & Export Area – STAND B17. This year our team has prepared surprises for all the hoteliers who come by our stand. From raffles to special promotions for contracts closed during the fair. On Wednesday, January 23rd and Thursday, January 24th, our representatives will be offering live demos of two of our systems: the Channel Manager and the Price Optimizer. We will be receiving visitors from 10:00 to 18:00 at our stand, offering demos of the YieldPlanet Channel Manager and YieldPlanet Price Optimizer. If you do not know our solutions or have not used them for more than a year, we are convinced that you will be surprised to see the new integrations of our intelligent distribution tools. To request an appointment fill in the form or email us. At 17:30 we will raffle a one-year contract for free of the Channel Manager (Essential version – Up to 5 channels) to everyone who has requested information and who has the raffle tickets. Ask our representatives to learn more about the conditions of the this raffles. * Ballots will be given to the first 20 to arrive between 17:00 to 17:30 in our stand. We will be receiving visitors from 10:00 to 17:00 at our stand, offering demos of the YieldPlanet Channel Manager and YieldPlanet Price Optimizer. Have a Yieldtonic with us, while our Sales Managers, Roberto Sánchez and Tristán Cnudde present the main functionalities of our RMS Price Optimizer and the new characteristics of YieldPlanet’s Channel Manager. Discover the Channel Manager’s new functionalities through our interactive presentation. 2. 6 months of free Price Optimizer Start service with initial audit included. 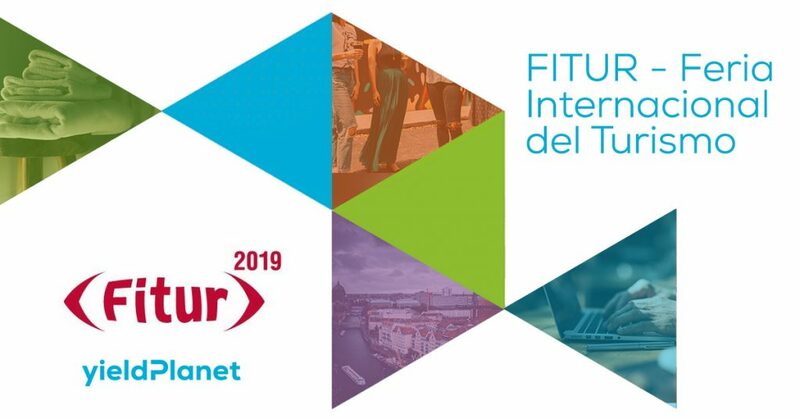 A ballot will be given to the first 20 to arrive from 5:00 p.m. until 5:30 p.m.
We hope to see you at FITUR 2019!